The report is available online to read and download in PDF. Please click HERE to access it. We are very happy to inform you that the GLODAPv2_2019 data product has been released on March 26, 2019, during the First International AtlantOS Symposium in Paris. Click HERE for more information and to access the product. 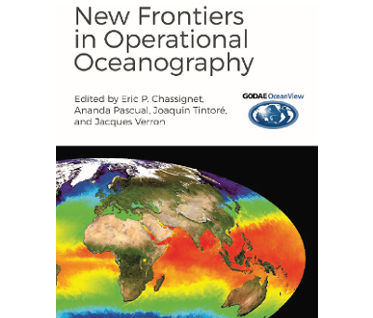 "New Frontiers in Operational Oceanography" outlines the current state-of-the-art in operational oceanography with two chapters dedicated to marine biogeochemistry. Click HERE to find out how to access the contents of the book. 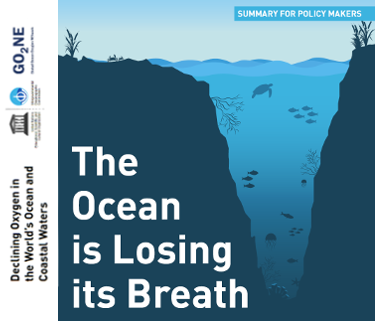 We are happy to share a recently published Summary for Policy Makers on Declining Oxygen in the World's Ocean and Coastal Waters developed by the Global Ocean Oxygen Network.Click HERE for more information and to download the document. We would like to inform you that the LDEO Database Version 2018 (LDEO_Database_V2018) was published at the Ocean Carbon Data System (OCADS) - a data management project within the US NOAA National Centers for Environmental Information (NCEI). Approximately 13.5 million measurements of surface water pCO2 made over the global oceans during 1957-2018 have been processed to make a uniform data file in this Version 2018. Measurements made in open oceans as well as in coastal waters are included. The data assembled include only those measured using equilibrator-CO2 analyzer systems, and have been quality-controlled based upon the stability of the system performance, the reliability of calibrations for CO2 analysis and the internal consistency of data. The dataset is available from this link: https://www.nodc.noaa.gov/ocads/oceans/LDEO_Underway_Database/. We would like to let you know that the consortium of the EU-Horizon 2020 funded project AtlantOS (“Optimizing and Enhancing the Integrated Atlantic Ocean Observing System“) and participants of the First International AtlantOS Symposium have released the Paris Declaration calling for an All-Atlantic Ocean Observing System that builds on cooperation through Galway and Belem Statements. The Declaration and the Symposium mark the transition from the EUHorizon 2020 Project AtlantOS to its development into the international All-Atlantic Ocean Observing System. The Symopsium, which took place on 25-28 March at the UNESCO Headquarters in Paris (France), was attended by scientists, policy makers, users, funders, the private sector and non-governmental organizations. The participants of this four-day long international meeting not only celebrated the success of four years of AtlantOS project work involving 62 partners from 18 countries and the investment of 20 million Euros, but also, presented a plan and ambition for the next decade of ocean observing in the Atlantic Ocean Basin to deliver on the needs of the Atlantic communities. 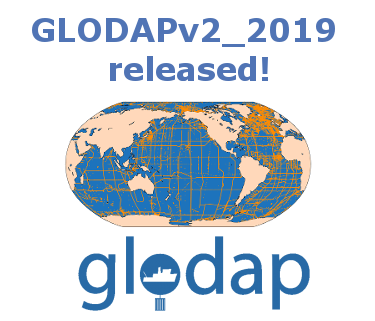 We are very happy to inform you that the GLODAPv2_2019 data product has been released on March 26, 2019, during the First International AtlantOS Symposium in Paris. 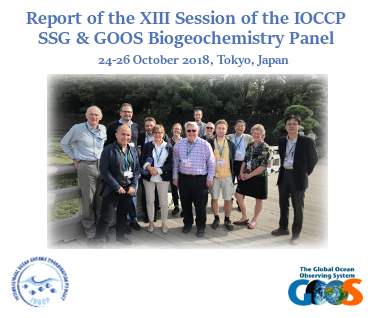 The Global Ocean Data Analysis Project (GLODAP) is a data synthesis activity of carbon-relevant ocean interior data by a consortium of international marine scientists. The EU project AtlantOS supported the new release, together with the IOCCP and numerous national funding bodies, universities and research institutes. GLODAPv2_2019 is an incremental update of the GLODAPv2 data product released in 2016. Data from 116 new cruises have been added and small errors in the previous GLODAPv2 data product have been corrected. GLODAPv2_2019 contains data from 840 cruises with more than 1.1 million Niskin bottle sample analyses covering all oceans from 1972 through 2017.